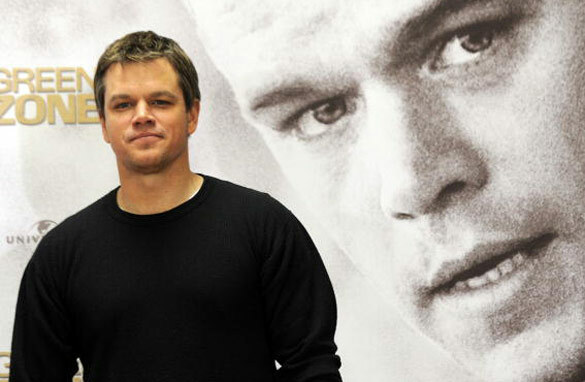 The American actor, philanthropist and screenwriter Matt Damon is known for his roles in a wide range of successful movies as well as his charity work. Son of Kent Telfer Damon and Nancy Carlsson-Paige, Damon was born in 1970 in Boston, and lived there for the first two years of his life. He first rose to fame following his lead performance in the film "Good Will Hunting." His success continued with appearances in a clutch of high-profile films including "Saving Private Ryan," "Invictus" and the "Bourne" trilogy. In addition to his acting career, Damon has been a budding philanthropist since the age of 12, creating charities such as the H20 Africa foundation and Water.org. He also supports the ONE campaign which is aimed at fighting AIDS and poverty. Now is his pairing up with OneXOne – an international charity that works to implement health care, water, food and education for the less fortunate children around the world. Tune in on Thursday night at 2200 CET, 2100 London time to see the full interview on CNN International. You can also leave your comments on our Facebook page www.facebook.com/cnnconnect.